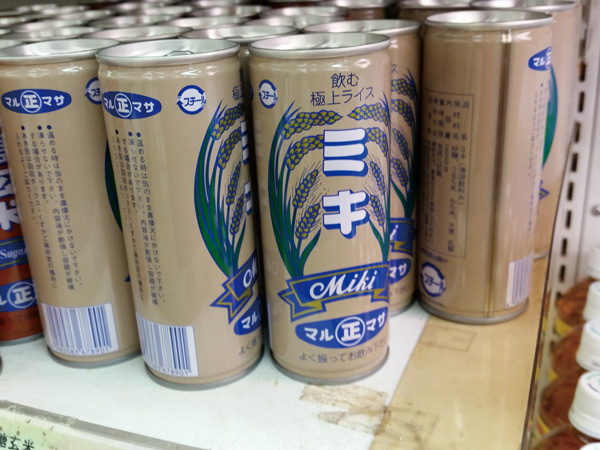 “Rice Milk Miki” is a fermented drink that some grocery stores on Okinawa carry although it’s not available at local convenience stores. Marumasa Shoji Co. on Miyako Island makes the drink. The drink is made of sugar, barley, non-glutinous and glutinous rice, and is brown in color. It has a sweet taste, and has a texture somewhat like yogurt. It is high in nutrients, and therefore people who don’t have enough time to eat sometimes drink it instead of having a meal. People who are sick also often drink it in order to gain energy. It’s sold in cans, which should be shaken before opening because the ingredients tend to accumulate on the bottom. 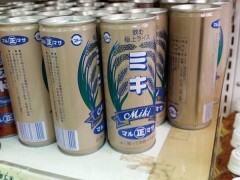 The same company also produces a drink with brown sugar and non-polished brown rice as its main ingredients.